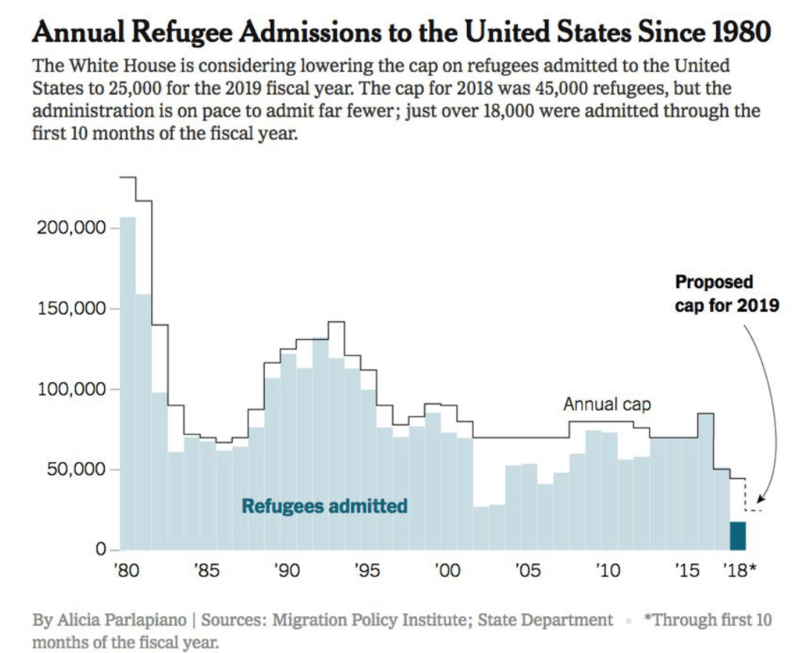 The admissions ceiling for refugees could be set by the President at 25,000 people for fiscal year 2019. This would be a cut of more than 40 percent from this year’s limit. Call congressional offices directly. You can reach US representatives in DC by calling 202-225-3121, and US senators by calling 202-224-3121. Ask the operator to connect you to the individual office. In addition, since Congress is not currently in session and most members are at home, you can also contact your senators and representatives directly in your home state. “I’m your constituent from [CITY/TOWN], and I urge you to support the U.S. refugee resettlement program. I strongly oppose the Administrations continued Muslim and refugee bans, as well as the all-time low cap on refugee admissions. I urge you to do everything in your power to see that the administration resettle at least the 45,000 refugees they have set as the goal for 2018 and see the administration commit to resettling at least 75,000 for 2019.